AAA Texas is reminding parents during National Teen Driver Safety Week, Oct. 20-26, that it offers a Parent-Teen Driver Agreement that’s customized to reflect the the state’s Graduated Driver Licensing law. The agreement is available at the AAA’s Keys 2 Drive website. 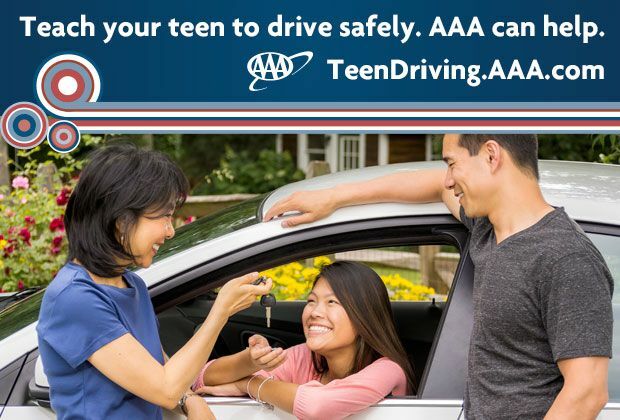 AAA Texas makes the agreement available to families to improve teen driver safety and to heighten awareness about teen crashes that occur in Texas, which include hundreds of fatalities and thousands of injuries on the state’s roadways. GDL, which AAA Texas sponsored, was enacted in 2002 and is effective because it limits novice teen drivers’ exposure to high-risk driving situations including prohibiting teen passengers and restricting night-time driving. A parent-teen driver agreement helps establish rules and consequences for teens, but also places responsibilities like modeling safe driving on parents. Signing an agreement before the teen starts driving can be helpful in establishing expectations for the entire family. “An agreement communicates that driving is a privilege that your family takes seriously,” said Shupe. “It’s important that parents and teens share a clear understanding of driving expectations. Written expectations help parents enforce standards consistently,” she added. Generally, driving agreements set forth non-negotiable rules for everyone like wearing safety belts while driving, obeying traffic laws, being a courteous driver and not driving under the influence of alcohol or drugs. Agreements also include a provision to meet monthly to discuss the teen’s driving performance and plans for driving the following month. Parents are also encouraged to set a good driving example for teens by turning off their cell phones, following traffic laws and being a courteous driver. AAA research has shown that teens have fewer crashes when limits on solo driving gradually relax as they gain experience, according to Shupe.